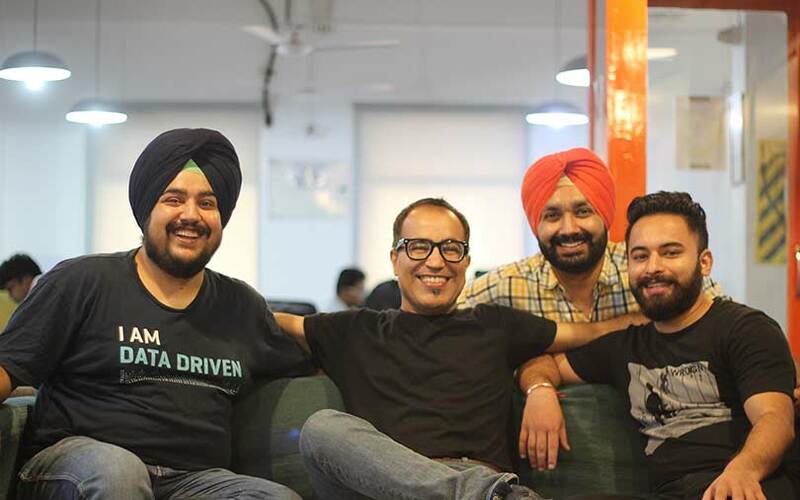 San Francisco- and Gurgaon-based Customer Success Box, an enterprise-based customer management platform, has raised $1 million (Rs 6.5 crore) in a pre-Series A funding round led by early-stage venture capital firm pi Ventures, a company statement said. Startup accelerator and seed fund Axilor Ventures also participated in the round. The startup will use the funds to drive growth and for product innovation, the statement added. Customer Success Box was founded in March 2017 by IIM Bangalore alumnus Puneet Kataria and serial entrepreneur Amritpal Singh. Prior to setting up Customer Success Box, both Kataria and Singh founded Promoto.co, a business-to-business platform that helps enterprises convert customers into promoters, in 2016. Both co-founders also previously held stints at customer service platform, Kayako. The startup helps B2B software-as-a-service companies grow their revenue and retain customers by automating customer onboarding processes, product usage analysis and user communication. The startup’s customers currently include enterprise DevOps firm XebiaLabs, cloud-based ed-tech firm WizIQ, digital marketing startup for local businesses Synup and customer loyalty firm WoowUp. It claims that its patent-pending technology has processed over 30 million data points from over 100,000 end users to calculate account health scores. “B2B SaaS businesses bleed, churn and struggle with customer retention. Customer churn is the biggest blocker of growth. It’s like trying fill up a leaky bucket. B2B SaaS and subscription businesses cannot continue to operate with the old ‘reactive’ support model. Customer Success Box was built from a clear need for a solution which could deliver ‘proactive’ customer success,” co-founder and chief executive Kataria said in the statement. pi Ventures was launched in August 2016 by Manish Singhal, angel investor and co-founder and former CEO of online deals platform LetsVenture and Umakant Soni, an IIT Kanpur alumnus and entrepreneur. The fund invests in startups focused in applied AI, ML, and Internet of Things. Its investments include IoT-based energy management startup Zenatix Solutions, wearable medical device startup ten3T, medical technology startup SigTuple, and breast cancer screening startup Niramai Health Analytix. In January this year, pi Ventures marked the second close of its debut fund at $25 million (Rs 160 crore). The VC firm marked the first close of its fund in March last year at $13 million. The investors included Aarin Capital chairman TV Mohandas Pai, Flipkart co-founder Binny Bansal, MakeMyTrip’s Deep Kalra and Info Edge’s Sanjeev Bikchandani. In the same month, the International Finance Corporation, the World Bank’s private-sector investment arm, and VC firm Accel Partners also invested in the fund. pi Ventures is targeting a total corpus of $30 million and soon expects to make the final close of the fund. Axilor Ventures is led by Infosys co-founders Kris Gopalakrishnan and SD Shibulal. Besides investing in early-stage startups, it also runs an accelerator programme. Some of its investment bets this year include enterprise automation startup Appiyo, SaaS customer engagement platform Survaider, virtual reality and augmented reality platform Scapic Innovations, employee rewards platform Advantage Club, and B2B food-tech startup HungerBox. In August last year, Axilor announced the graduation of its fifth batch of startups, all of which had collectively secured $5 million in funding from the programme.